What would you have done if someone had Drinked All Your Coffee? If he had Drinked All Your Coffee, what would you do? Would you take a picture and post it for everyone to enjoy or be mad at the cute puppy dog? Let us know in the comments below. Has this ever happened you? You enter the kitchen and head to the coffee pot. Open the coffee thermos and realize that the cup of coffee you had saved for your afternoon snack has disappeared! 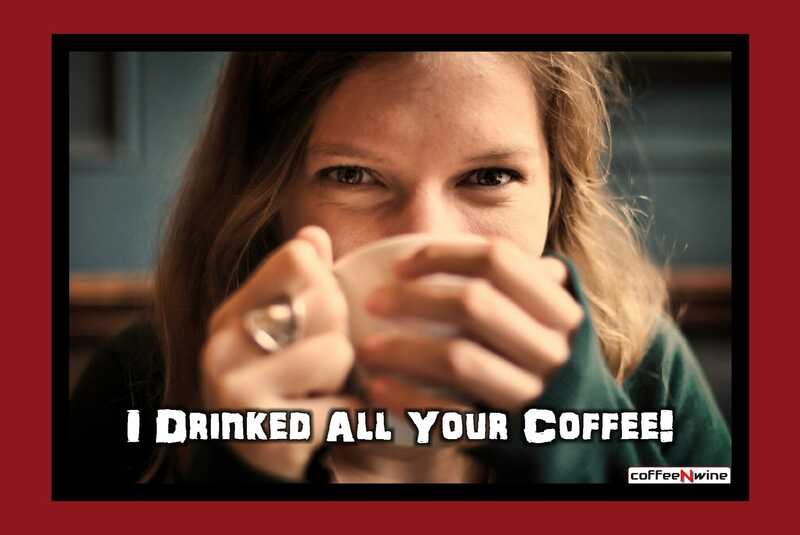 Surely someone else has drinked all your coffee! Do you begin to think who might have been? As you picture the faces of the suspects as they run through your mind. You ponder all the opportunities they may have had to steal your coffee. You feel betrayed because you cannot trust anyone anymore. Your loved ones have stolen your elixir from life when you needed it most! Disappointment and depression invade you. You do not know what to do now that your perfect evening has been completely ruined. While this is a somewhat (very) difficult situation, it ruins every person’s day. It makes your emotions change also and with this, your mood becomes so bad that is even able to scare others. No one wants to be near a person who has been robbed of the last cup of coffee. It is normal, everyone is accustomed to drinking coffee to be able to continue with their respective activities having the same energy. That is why when someone drinked all your coffee, in essence, they steal it, everything falls apart and some of them will feel sad and others will feel annoyed and even paranoid believing that this is always going to happen to them. What would you do if this happened to you? How would you feel? Offended, perhaps. Also disappointed and would begin to distrust those who are always near the kitchen of your “home”. However, do not despair! Remember that coffee is one of the most sought-after drinks all over the world. They simply can not resist the exquisite smell of it as soon as they see it. So try to understand it ( we know it may become impossible) so that harmony is maintained. Join us on Facebook, Twitter, Youtube or Pinterest to keep up to date with our latest posts! After you overcome the emotional shock that you have lost your cup of coffee, breathe and relax. We are sure that everything will be better once you let things flow and that nothing will bother you in this day. Go back to the kitchen and start making more coffee, do it your way. As you like. Do not think about others, remember that they have not thought of you and have drinked all your coffee. If by it happens that you can not make more coffee, quickly go to a coffee shop and ask for your best espresso or latte or black coffee and enjoy. If someone had Drinked All Your Coffee, what would you do? Would you be mad about it? or, Would you just make some more? Let us know in the comments below.